Irene established A.S.A.P. Mortgage Corp. from the ground up, after beginning her career in the mortgage industry over three decades ago, and today, it serves as an industry leader. From the beginning, Irene made it her mission to surround herself with true professionals who share the same beliefs and passions as she does; this has always been one of Irene’s top priorities. Irene’s success is a direct result of her dedication and commitment to her clients and the industry as a whole. Irene and her team’s daily goal is to provide their clients with a unique mortgage shopping experience like no other. Irene’s clients become her friends, and these friends, refer their friends and family to A.S.A.P. Mortgage Corp. and this is how Irene and her staff measure success! 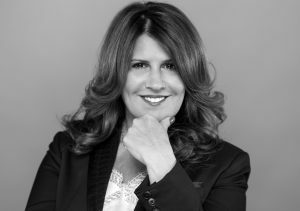 Irene has been heavily involved with the New York Association of Mortgage Brokers (NYAMB) Board of Directors for the past six years as President Elect and President of the Lower Hudson Valley Region. Irene is involved in the legislative committee and travels to Washington, D.C. for Lobby Day on behalf of the mortgage industry. Irene has always been an advocate for continuing her education within the industry. Irene is an NMLS Approved Instructor teaching courses to loan originators within New York State. In addition, Irene is a NYS approved Real Estate Instructor, as she loves sharing and empowering others with all the knowledge she has gained over the years. Irene enjoys volunteering her time to support local not-for-profit organizations, cooking and spending time with her family.